Are You Prepared for New Compliance Program Regulations? Compliance By LW Consulting Inc.
New regulations for compliance programs go into effect on November 28, 2019. On this date, survey agencies will be authorized to issue survey deficiencies under F-Tag F895. If it's been a while since you've updated your compliance program, then it is likely that it concentrates on preventing and detecting billing and documentation errors and not quality of care. State and federal agencies are urging providers to review their existing compliance program. Are you prepared for the new compliance program regulations? As per the Code of Federal Regulations (42 CFR 483.85 - Compliance and Ethics Program), every facility's compliance program has to contain the following primary components. A compliance program must have “written compliance and ethics standards, policies and procedures that are reasonably capable of reducing the prospect of criminal, civil and administrative violations.” These written standards, policies and procedures must also promote quality of care. In addition, facilities must designate a compliance contact to which staff may report suspected violations anonymously. This individual can be, but is not limited to, the Chief Executive Officer (CEO), members of the board of directors, or other directors within the operating organization. The compliance program should include effective communication of standards, policies, and procedures for staff, individuals providing contract services, and volunteers. Requirements include, but are not limited to, mandatory training, orientation programs and the dissemination of information that explains the compliance program requirements. Reasonable steps should be taken to audit and monitor systems designed to detect criminal, civil, and administrative violations under the Social Security Act by the operating organization's staff, individuals providing contractual services, or volunteers. In addition, systems need to be in place for the anonymous reporting of violations without fear of retribution. All policies and procedures should be enforced, and appropriate disciplinary actions, as appropriate, should be implemented for failure to detect and report a violation to the compliance program contact. After a violation is detected, all reasonable steps must be taken to respond appropriately to the violation and prevent further similar violations. This includes any necessary modification to the compliance program to prevent and detect criminal, civil, and administrative violations under the Social Security Act. The end goal is to have a successful compliance program that can be assessed by surveyors. A facility's compliance program must contain the above listed components and the three supplemental components if the facility is an operating organization. 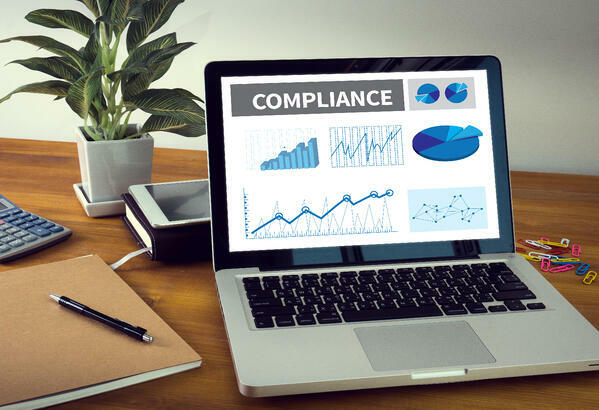 LW Consulting, Inc. can help review your facility's current compliance program and develop a plan to improve future compliance. We can also assess your current systems to develop a compliance plan if there isn't one already intact. Are you prepared for new compliance program regulations? Contact the experts at LW Consulting, Inc.